Dr. Jacquie Smiles and her dedicated team of professional orthodontists in New Windsor, NY are committed to determining which orthodontics treatments for children and adults are best suited for your specific needs. We offer a wide variety of dental treatment options for kids and adults ranging from traditional, Invisalign, accelerated braces to the latest innovative orthodontic advancements. Dr. 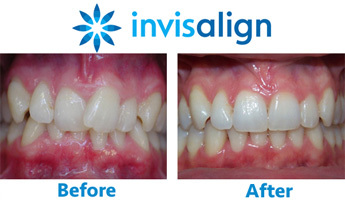 Smiles is an Invisalign Elite Premier Provider and has been recognized as a Top Invisalign Provider every year since 2003 and is considered an expert orthodontist in New Windsor, NY and the surrounding Orange County area. Dr. Jacquie Smiles is an orthodontist specialist for children and adults so you can feel confident knowing that an expert is managing your dental care. Her mission is to provide you and members of your family with excellent customer service and outstanding patient experience. Our orthodontics treatments can improve the look of your teeth, improve your smile as well as prevent the damaging effects crooked teeth may cause, including bone loss, tooth decay and TMJ disorder. Dr. Jacquie Smiles is an orthodontist specialist who can provide a complimentary consultation in her dental clinic to help determine your needs and goals to help you come up with a treatment plan in New Windsor designed to bring you optimal results. To schedule your appointment for orthodontic treatment in New Windsor, NY with our orthodontist specialists, please call (845) 782-4288 or fill out our convenient contact form to receive more information.